The only other topic that rivals the discussion of “is print advertising dead” is the topic of “whether or not Elvis is dead”. We are unable to comment on Elvis but when it comes to print advertising, then we do have something to say. A longer shelf life: Whilst digital ads come and go, print ads have staying power. The tactile experience of seeing the ad in your hand means people linger longer whilst reading the magazine and seeing your ad. No Fear: Whilst reading the magazine you’ve little chance of catching a virus or downloading some unwanted information. This gives people more time to read your ad. Credibility and Brand recognition: Local magazines are a valuable way of connecting with local communities and your ad will generate interest in your business. When someone calls you, there will already be an element of trust and you can reinforce that when you talk to your potential new client. Deciding how to promote your business and win new customers can be a difficult decision, print advertising gets you in front of your target audience and generates true engagement. The summer holidays will soon be upon us, and while the kids can't wait for them to get started, it's not unusual for the parents to be slightly less enthusiastic at the prospect of having to keep them entertained for six whole weeks. But fear not! 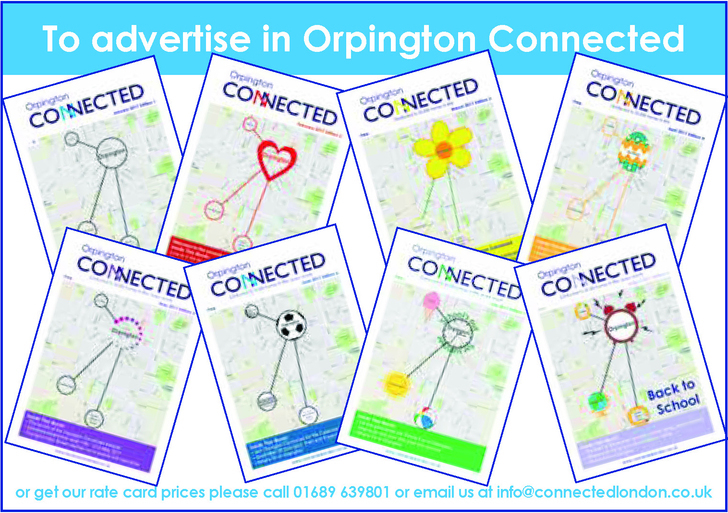 There are tons of fantastic things planned in and around Orpington over the summer that'll be sure to keep everyone busy, rain or shine. Back for it's fourth year, Priory Live is Orpington's free music festival, taking place in the beautiful Priory Gardens on 12th August. Hang out at the main stage to enjoy an eclectic line up of original artists from around the South East, or chill out at the Music Lounge stage with acoustic sessions. Wherever you choose to while away the hours, you can be sure of fantastic music and amazing food in a great venue. If you're craving fresh air, open space and some gentle activity, check out Orpington Golf Centre. One of the largest golf facilities in the country, it has two 18-hole courses, 54 holes and a brand new FootGolf course, fantastic fun for kids and adults alike. The only villa open to the public in Greater London, Crofton Roman Villa provides a fascinating day out. Discover the secrets of the villa with a guided talk, or take part in one of the family-focused activities - from finding out about Roman bath time fun to making your very own Roman sweets. 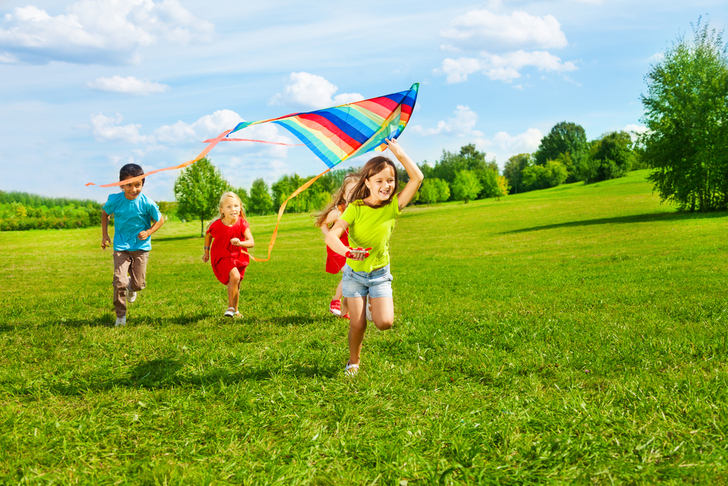 When the sun's shining and the birds are singing, there's nothing better for the kids than letting them loose in the great outdoors. Just off the high street, Priory Gardens, is Orpington's best kept secret-beautiful parklands, an excellent children's playground, and a duck pond will keep the kids entertained for hours. Alternatively, venture a little bit further afield to the stunning High Elms Country Park Local Nature Reserve and its BEECHE education and visitor centre, where you can learn about local biodiversity, take part in nature trails and self-guided walks, or simply enjoy a drink and a snack in Bromley's most picturesque cafe, the Green Roof Cafe. There are many parks in and around the Bromley area, way too many for us to list here. Check out the website and find a park where you could while away some summer hours, for free. Though we may dream of six weeks of sunshine, the chances are that the weather won't hold all summer. But there's no need to fear rainy days with the Walnuts Leisure Centre. Running a full summer programme, there are plenty of activities to tire the kids out, from arts and crafts to sport. Visit www.mytimeactive.co.uk to find out more about the Walnut Leisure Centre's summer holiday activities. From the moodiest teenager to the teeniest toddler to the tearing their hair-out-parent, there's something to keep everyone entertained this summer holiday in and around Orpington!